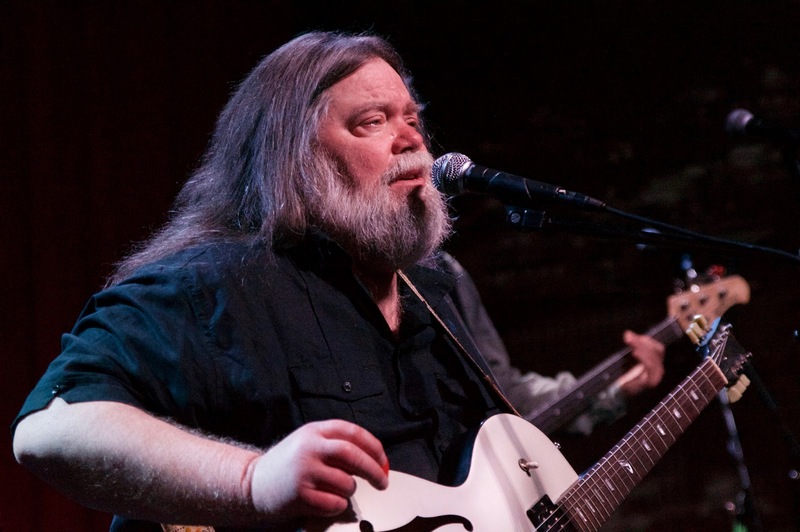 Psych rock pioneer and 13th Floor Elevators band leader Roky Erickson returned to the Kansas City metro for the first time in over three years on Sunday evening. Now 70 years old, Erickson performed from atop a sturdy, leather-cushioned seat at the front of the stage. His glassy eyes spoke more than the few words that stumbled from his mouth between songs -- a few thank you's and some one word replies to his bandmates' friendly chatter. It wasn't much of a surprise that Erickson couldn't always muster a strong vocal performance or that he merely strummed along while his band did the heavy lifting, but those who paid close enough attention -- and most did -- were privy to priceless moments that encapsulated the power of rock-n-roll. There was the occasional smile and glint of recognition from Erickson throughout the night, as well as several tunes where he shined. Erickson performing "Night Of The Vampire" at any age is chilling to witness and the night's encore of "You're Gonna Miss Me" proved to be his finest, and more importantly, his happiest moment of the night. Los Angeles garage-psych revivalists Death Valley Girls opened the show with a series of plodding, often limp numbers injected with quivering vocals and lethal amounts of reverb. While a small handful of songs managed to evolve, many sounded as if they had been written in one sitting. The peppy, nihilistic monologues and engaging antics of vocalist Bonnie Bloomgarden, however, made the band's set more entertaining than many acts of its kind.